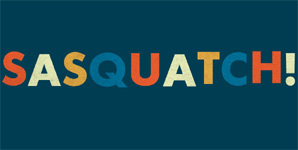 Bringing a double-weekender to Washington; festival creator Adam Zacks founded Sasquatch! in 2002 with the aim of building an event that catered to the eclectic tastes of voracious music enthusiasts. Personally programming the lineups for each Sasquatch! Festival, Zacks handpicks a dynamic array of performers with a tradition of presenting critically acclaimed emerging artists alongside established headliners. Sasquatch! has recently been recognized for its programming excellence with a nomination for Festival of the Year at the 2012 Pollstar Awards and was named Festival of the Year in 2010 by Consequence of Sound. Electronic luminary Wolfgang Gartner said of his Sasquatch! experience, "There's this festival called Sasquatch! out in the middle of Washington once a year. Last night I played it. This is a really bold statement, but I'm'a go ahead and say this was the best gig I have ever played in my life, crowd-wise, vibe-wise, everything-wise.I will never forget it as long as I live. This is the kind of night that makes me realize I would do this sh*t for free."